Have you been thinking about taking your life on the road? Wanting to take the extended cross-country road trip with the family? If so then you need to head to your local Airstream dealer in Wisconsin Ewald’s Airstream of Wisconsin. 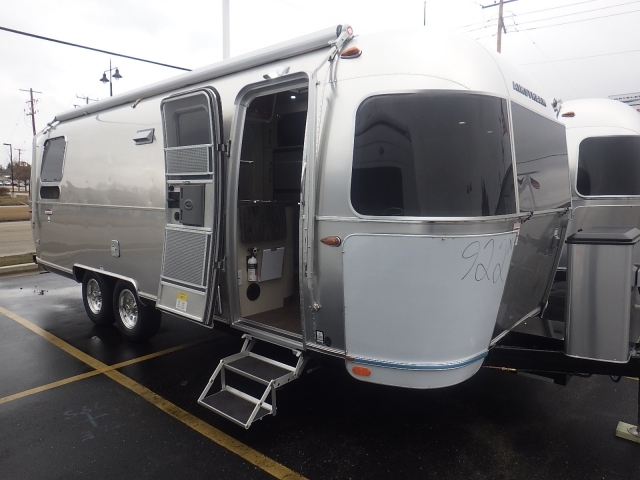 Here at Ewald’s Airstream of Wisconsin, we understand that when it comes to finding a large selection of new and used Airstream can be a never-ending process. Which is why we have many Airstream trailers for sale to choose from, that way we have something for everyone. Here at your local Airstream dealer in Wisconsin, we understand that each person that walks into our dealership is going to have different wants and needs. Which is why we have a team of people who are happy to answer any and all questions you may have about one of the many new and used Airstream for sale. That includes questions about the relaxing and peaceful Airstream International Serenity for sale. This Airstream for sale comes with many features that are sure to give you peace of mind and serene comfort. The moment you step inside this Airstream, you will be transported to a spa-like experience. The International Serenity was designed for those seeking both inner peace and the ultimate relaxing vacation. 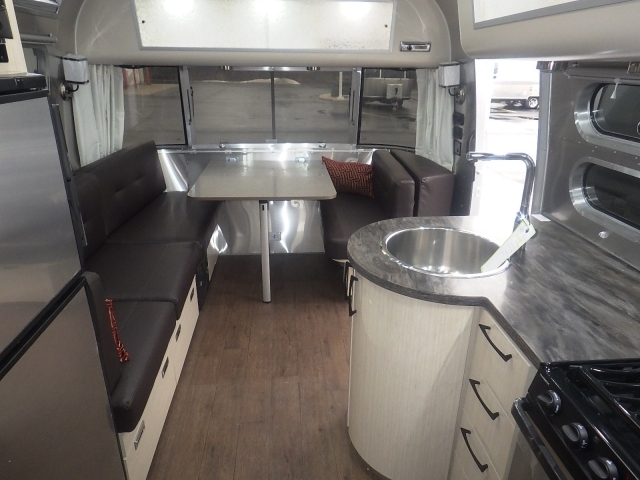 With a fluid design that seems to effortless glide from place to place and luxury features to ease the mind and body, you will almost forget you are in a travel trailer. The International Serenity was created for peace and relaxation both on and off the road so that you can spend less time worrying about your trailer and more time enjoying yourself. A full galley kitchen lets you prepare and serve all of your favorite meals with ease. This Airstream trailer for sale also comes with ample storage space you will be to keep your living space clean and clutter free. This Airstream travel trailer also comes with a slide out pantry for ample snack storage, and a slide out microwave makes it ideal for quick and easy cooking. Get your best night sleep with a relaxing and private sleeping area. Panoramic windows fill the room with happy and bright sunshine, and blackout curtains let you sleep in for as long as you want. Keep your clothes organized and wrinkle-free. With built-in storage features. The interior of the International Serenity intended, to soothe and relax the body and mind. With harmonious features such as lemongrass and rice paper, you will feel it’s calming effects the moment you step foot into the trailer. This Airstream Trailer comfortably sleeps up to four people and offers a full kitchen and bath, with high-end features that are sure to put a smile on the face of even the most reluctant of campers faces. You can count on this Airstream trailer to get where you are going with ease, with an aerodynamic design will make towing this Trailer for sale easier than ever before. Come to your local Airstream dealer in Wisconsin and see the all-new Airstream International serenity for sale. When you are looking for an Airstream for sale, come to Ewald’s Airstream of Wisconsin at 6269 S 108th St, Franklin, WI 53132.